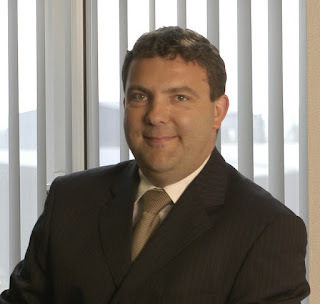 Greater Manchester Chamber Blog: Friday Guest Blog: Joining the BYOD Party? Friday Guest Blog: Joining the BYOD Party? By Andrew Roberts, Managing Director, Pennine Telecom. BYOD is the acronym de jour in the communications world. Both private and public sector organisations are looking at the benefits, or otherwise, of Bring Your Own Device. BYOD does as it says on the tin: staff and visitors bring their own smartphones, laptops or tablets to access the internet or emails using a wi-fi network you provide. It’s something people increasingly expect to be able to do in coffee shops, hotels and, now, workplaces. For an employer BYOD can certainly bring benefits. Your staff may adopt a flexible work style where work becomes an anywhere, anytime activity and can enhance productivity and increase collaboration with colleagues and clients. Because they’re using their own technology staff will be familiar with the device and therefore more productive with it. It’s also something they’ve invested in and could potentially reduce your own IT spend. Visitors too may feel warmer towards your organisation if they can check their Twitter or catch up on work emails whilst waiting in reception. So far, so good. It’s a concept we’re all familiar with from our experiences in coffee shops or meetings in hotel lounges. They can do it, so you can too right? Well, yes, but, like anything in business, take some time to think it through first. It’s imperative you devise an effective BYOD policy so that in providing these wi-fi freedoms and enjoying the benefits they bring, you simultaneously protect your networks and data. · - Making explicit the data and documents which may and may not be held on BYOD device. In determining policy be mindful of both the legal and reputational impact of data loss. If in doubt, don’t let them take it out. Whilst this may seem an obvious thing for me to say, the best way to ensure the pros outweigh the cons is to seek advice from a communications professional. Then you can be confident of making the right choices whilst enabling your staff, suppliers and customers to be better connected. Pennine Telecom is a leading data and telecommunications specialist offering design and installation expertise in wired and wireless networking; traditional, internet and mobile telephony and radio systems. www.penninetelecom.com. Friday Guest Blog - Is a Manager born or made?